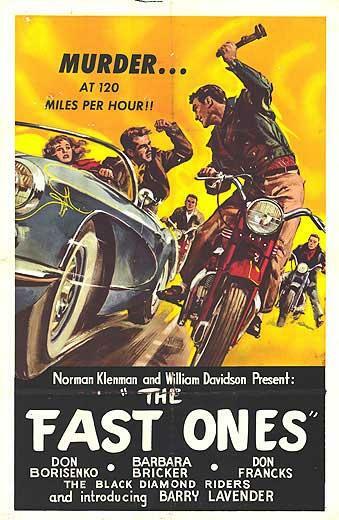 (AKA The Fast Ones) 1958, Starring Don Borisenko, Barbara Bricker, Susan Grey, George Carron, Patrick Desmond, Don Francks. Directed by William Davidson. 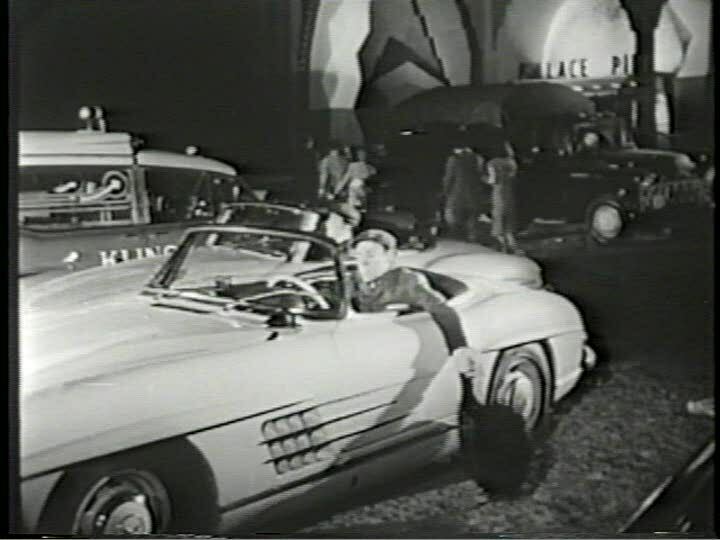 When Canadians began producing dramatic films again in the late 1950s, they were often so focused on getting a movie made that they didn't consider how it might reach an audience. But maybe they should have, since historically, distribution has always been the biggest stumbling block for Canadian films. Since the 1920s, Hollywood had a lock on the exhibition in Canada, importing their own product into the theatres that they owned, forcing out entrepreneurs like Ernest Shipman. Although they didn't have a snappy name for it at the time, now we call it "vertical integration." In the 1930s, Famous Players was even charged with being an illegal combine in an attempt break up their monopolization of the Canadian film industry, but inexplicably, they were later cleared of this charge. Things hadn't changed much by the 1950s, and the 25 years of relative inactivity from our feature film industry didn't help matters either. With the exception of 1961's The Mask, none of the five or six Canadian films made in this first "new wave" of Canadian film saw much, if any, screen time in North America. That includes The Ivy League Killers. Made by the producer-director team of Norman Klenman and William Davidson, this unusual juvenile delinquency film came about after a meeting with Twentieth Century theatre operator Nat Taylor. Taylor premiered Klenman and Davidson's first feature film, a trilogy of dramatic shorts called Now That April's Here that received only lukewarm reviews. He urged the budding filmmakers to try their hand at a more commercial movie similar to The Bloody Brood and A Cool Sound From Hell, Toronto-shot pictures that Taylor recently helped produce for a North American market. Klenman and Davidson started work on The Ivy League Killers, but the production was plagued by problems. The film was to receive half of it's budget from Taylor, but his funding fell through Klenman and Davidson were forced to shop an unfinished version of the film around to small distributors in the U.S. Rejected by both American International Pictures and Allied Artists, The Ivy League Killers was only completed, at a fraction of it's original projected budget, after private investors stepped to the plate. Eventually they sold the film rights, and eager viewers were finally able to catch the North American premiere of The Ivy League Killers... on late night American TV. It's really not that bad a film, but it's easy to see what might have scared off prospective buyers. In The Ivy League Killers, the roles of good and bad are not as clear cut as they are in most comparable American productions. Even the current video retailers misleadingly describe the film as a group of "wussy" teenagers terrorized by a biker gang, when it's actually the other way around spoiled rich kids intent on rumbling with a relatively harmless group of cycle savages. The Ivy League Killers leaps into lurid action even before the title card. Two suped-up convertibles pull into a vacant stadium where a biker gang known as the Black Diamonds are having a meeting. 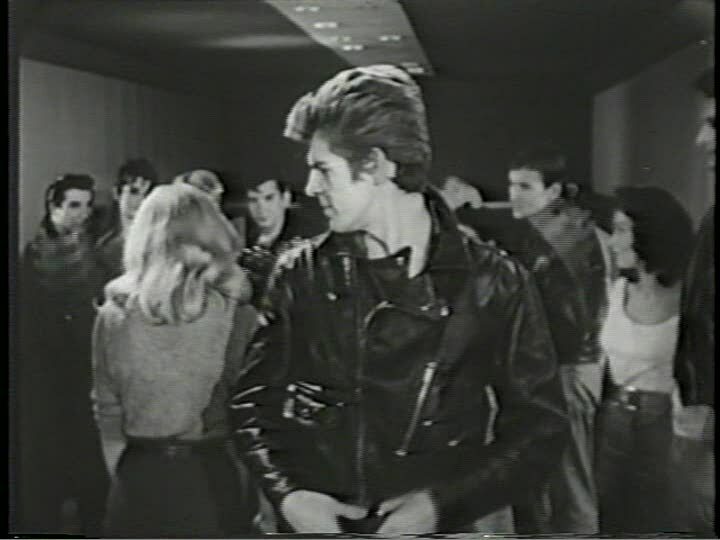 They politely ask the hot rodders to leave, but nothing doing rich kid Andy (Don Francks) heedlessly escalates the tension between the two groups with a few choice words and takes off. Don (Don Borisenko), the leader of the Diamonds, orders his gang to swarm the cars to teach the snobs a lesson. Eventually, they force Andy and his pals off the road, leaving them in the dust. Andy's ride is damaged and he needs a tow, so his friend Charlie and his girlfriend Susan take off in the other car to get help. On the way, Susan asks lots of questions about who the Black Diamonds are, and even convinces Charlie to take her to the "Juke Joint" they hang out at. At the club, a few of the Black Diamonds are laying down a rockabilly song so the others can dance. Susan strolls in and goes up to the counter for a ginger ale, but is immediately challenged by Don's girlfriend Nancy and the thuggish Bruno. Surprisingly, Don defends her right to be there, and ends up inviting her out for a ride on his motorcycle. Nobody thinks very highly of this, including Nancy who is extremely jealous. Bruno starts calling their leader "soft," and in Don's absence, nominates himself as the next club president. When Charlie returns, Andy is pretty ticked off as well. He makes Charlie drive him over to Susan's house, where he witnesses Don dropping her off. Confronting Susan, Andy tells her that Don is " uneducated, and probably very dirty." We don't find exactly what Andy means until the next scene, in which he and his buddies discuss the various crimes they have been involved in, including murder. It seems that Andy thinks pretty highly of his illegal schemes, and by contrast, that the Black Diamonds are a bunch of crude, petty thugs. To prove himself undoubtedly superior, Andy hatches a plan. Donning a Black Diamond jackets stolen from the juke joint, Andy and his pals go to the Palace Pier dance club where the Diamonds are hanging out one night. Busting into the front office, they rob the joint and take off on some motorbikes. One unlucky dance hall patron can't get out of Andy's way in time, and ends up splattered on the sidewalk. Safely hiding their loot and the incriminating jackets, Andy returns to the scene of his crime. After ensuring that the cops have found Don's planted saddle bag, Andy tells the investigating officers where to find the gang. The cops arrive at the beach just in time to arrest all of the Diamonds, except for Don who hadn't shown up yet. A warrant is issued for his arrest, and Andy can't help but laugh at the success of his revenge plan. But when Susan overhears his bragging and sees the stolen jackets, she decides to seek out Don to clear his name, and help him get some revenge of his own. Five years later, this film did receive a Toronto screening under the title The Fast Ones. Interestingly enough, the poster art seen above is actually recycled from the Roger Corman picture Dragstrip Riot, with a The Fast Ones sticker pasted over the real title. Again, this gives the false impression that the bikers are the antagonists (which they are in Corman's film). Like The Bloody Brood, Julian Roffman's Canadian juvenile delinquency film of the same year, The Ivy League Killers differs from American JD films in the way it presents conformity. 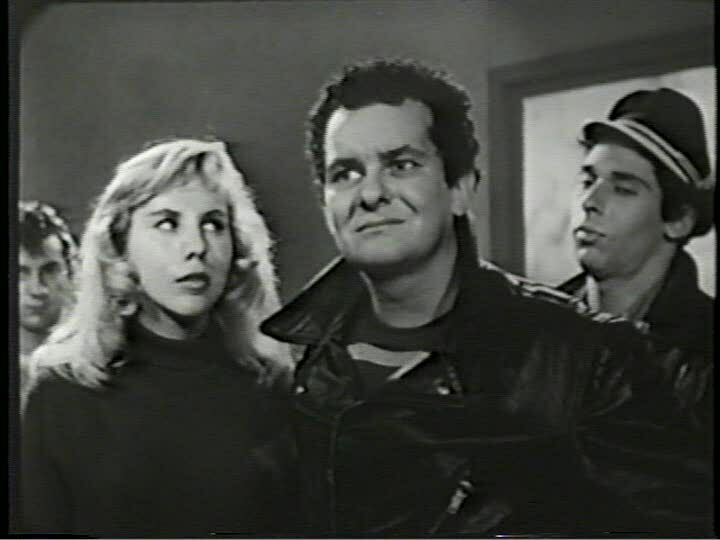 The beatniks in Roffman's film are simply misunderstood youth, just as the motorcycle gang in this film never get involved in any wrongdoings themselves, but are fun seeking youths looking for a place to belong. These tolerant attitudes towards youth subcultures are nowhere to be found in Hollywood films, which almost always demonize non-conformists and outsiders. In both The Bloody Brood and The Ivy League Killers, the problem is a quick-to-judge society that construes their children as evil, since the real criminals are able to exploit prevailing attitudes and easily frame the kids for their own illegal deeds. This role-reversal might be why The Ivy League Killers was not considered " commercial" enough at the time it was made. This film also provides a glimpse into Toronto's youth culture of the 1950s. A considerable part of the action takes place at Palace Pier, a once-popular teen dance hall that graced Toronto's waterfront until it burned down in 1963. 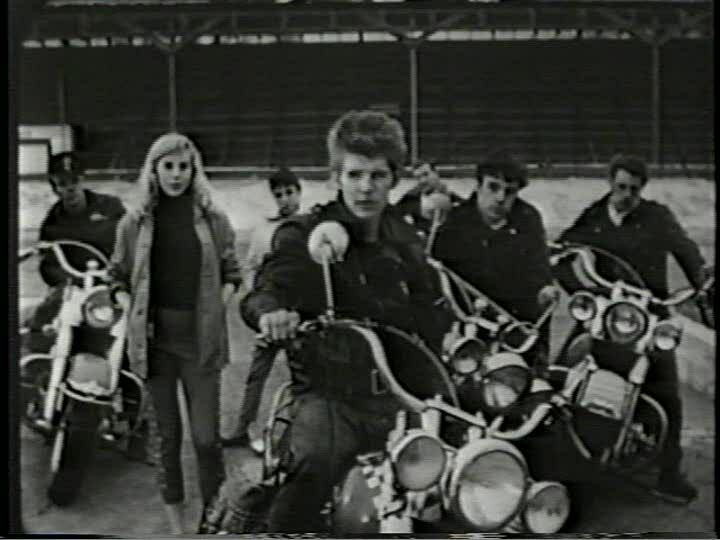 This is also the only Canadian film that features some authentic Canadian rockabilly "Get Hip" and "Easy Rider" are a couple fun teen rockers performed by Igors Gavon, who went on not to rock n' roll fame, but to become a Broadway performer. Certainly not as bad as it's troubled history might suggest, this film is at least as interesting, and definitely more lurid, as the other late 1950s Canadian films. Despite the fact that The Ivy League Killers was ignored even in it's own time, this " forgotten" JD thriller now deserves some long-overdue attention.